Here are the instructions for the Cat Basket Quilt. I used Makower Kitty with Makower Linea for the background, but you can use any fabric you wish. 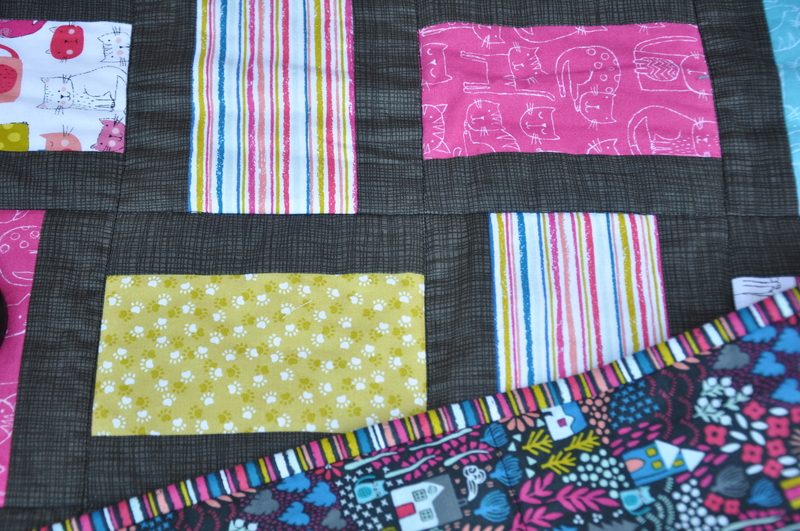 From each of the fat quarters cut 3 strips of 3½” wide by 18” - 20” long. By cutting parallel to the selvedge, you should have a length of at least 18”. The minimum length should be 18”. Cut 3 more strips, so you now have 30 strips in total. 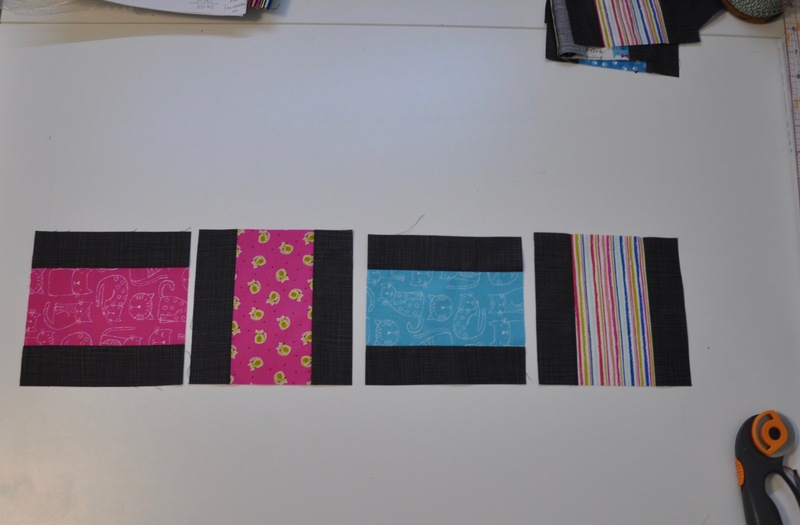 Cut the background fabric into 3 strips across the width of the fabric. 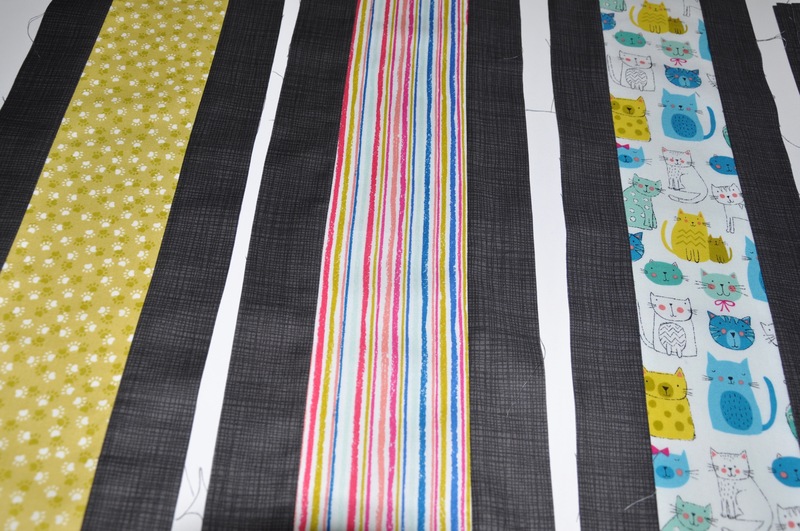 You should now have 3 strips 20” wide by the width of the fabric long. Cut these into 60 strips, each 1¾” x 20”. Sub cut into 6” squares. You will get a maximum of 90 squares, but you will need only 82 of these. These extra can give you scope to change the colour placement. From the remaining 18 blocks, sew 10 together, alternating the blocks as before. Press the backing fabric and from one of the selvedge edges draw a line 15” parallel to this edge. 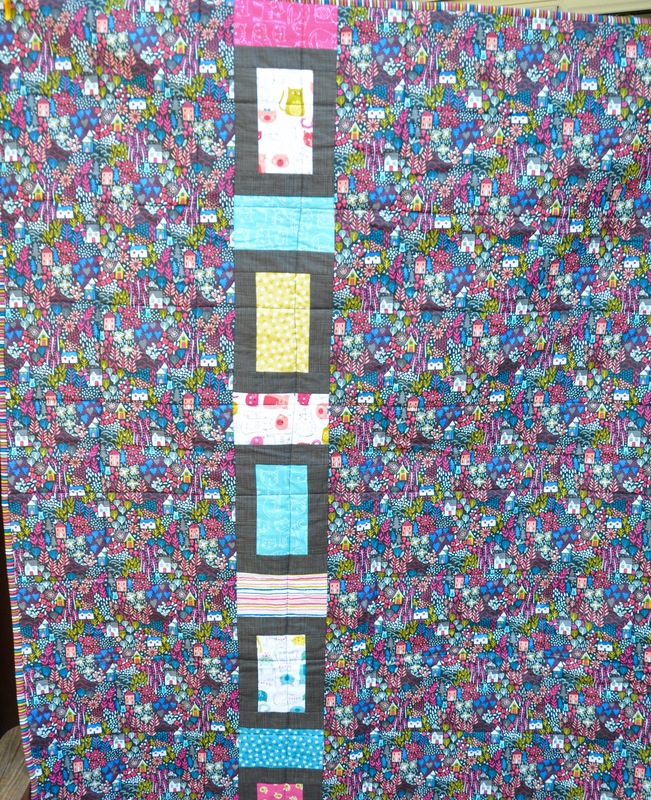 Assemble the back by sewing the strip of 10 blocks between these two pieces. 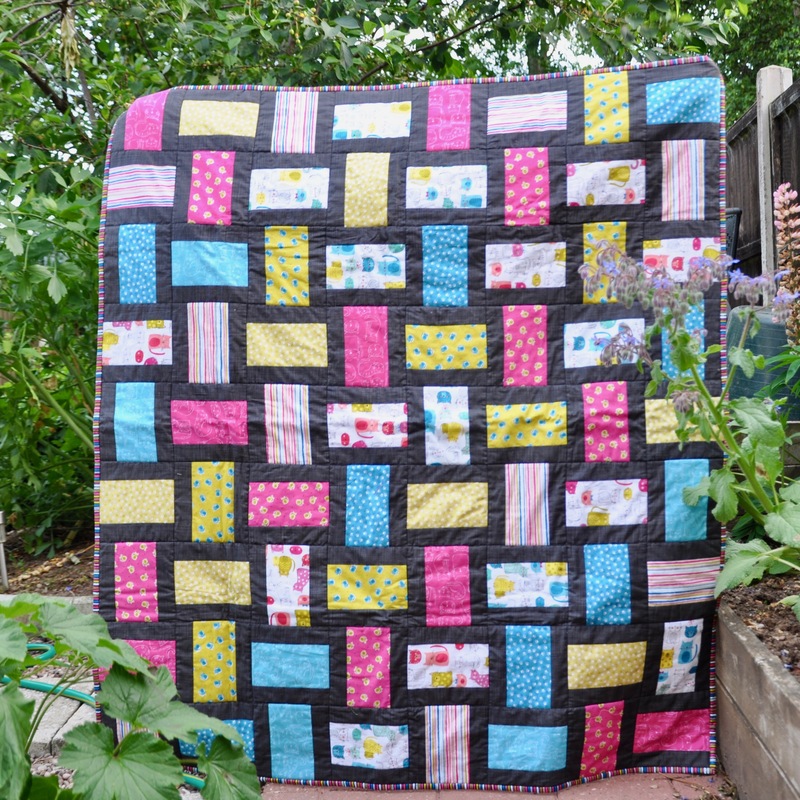 Finish your quilt by basting and quilting. For the quilt in the picture, I have stitched in the ditch between each block. However, feel free to choose your own design. 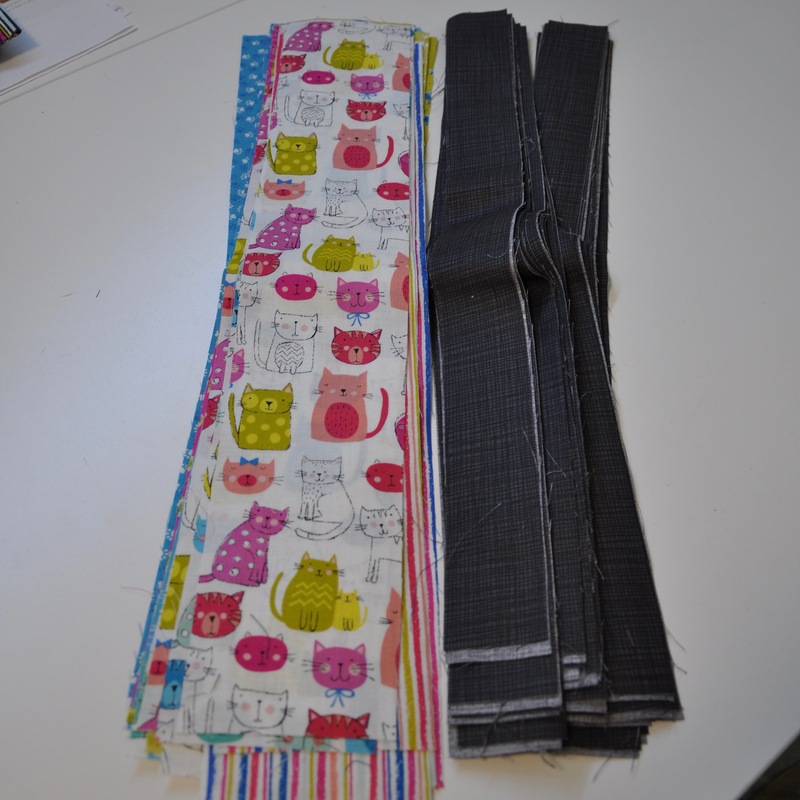 Cut the binding fabric into either 2¼” or 2½” strips depending on the thickness of your wadding and bind the quilt.